St. Anne and St. Joachim are the mother and father of the Blessed Virgin Mary and the grandparents of Our Lord. Having been barren for 20 years, St. Anne gave birth to the Blessed Virgin at age 40. Her Hebrew name, Hanna, is the same as Hannah in the Old Testament and their stories mirror one another. 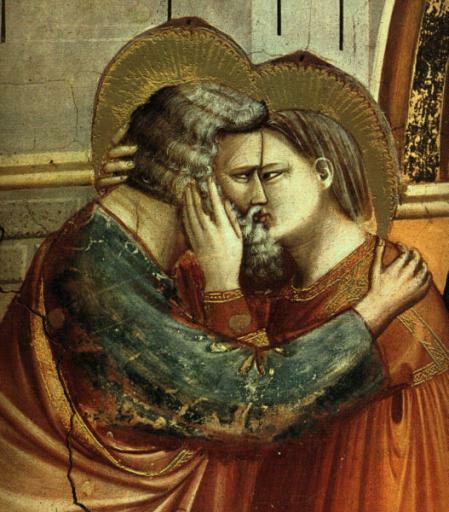 In this image painted by Giotto, St. Anne and St. Joachim (age 40 and 69), kiss and embrace after being told separately by angels that they are pregnant with a daughter who will be consecrated to God. 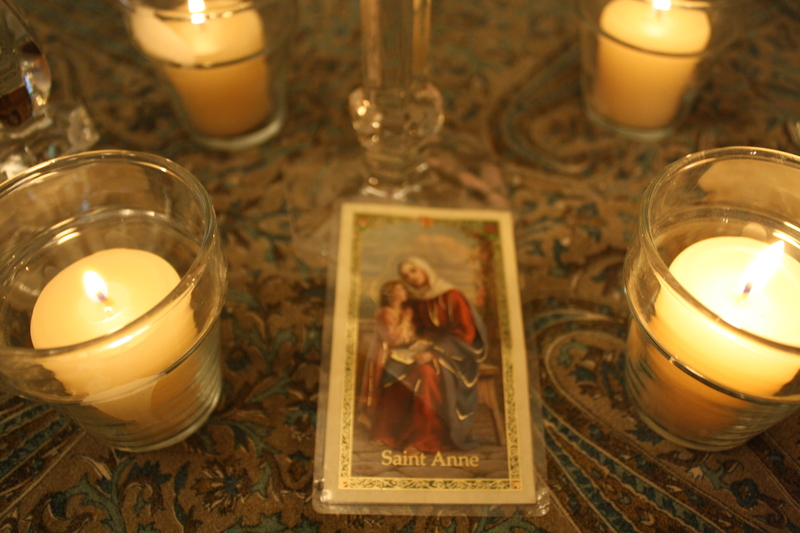 They are the patron saints of parents and grandparents and St. Anne is the patron saint of homemakers and women in labor. Because shellfish is a traditional food to prepare on St. Anne’s Day and Brittany is a region particularly devoted to St. Anne, Daniel chose a dish from that region: moules marinières or Mariner’s Mussels. 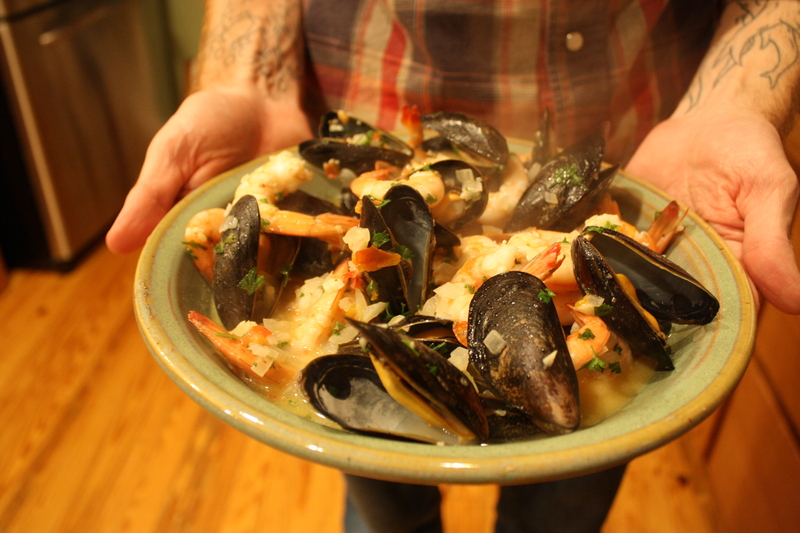 Peel the shrimp and wash the mussels, scrubbing them to remove the “beard.” Heat the butter in a large pot. Saute the onions and garlic for a few minutes. Stir in the tomato and parsley. Add the mussels, shrimp, and wine, stirring gently so as not to break the shells. Cover the pot and let it steam for a minute or two. Stir about every minute so the shrimp will cook evenly. Season with salt and pepper. It should be ready in about 4-5 minutes. Make sure to save the sauce to dip bread in. Technically, moules marinières should be just mussels but some people don’t exactly love them so we added shrimp to be safe. 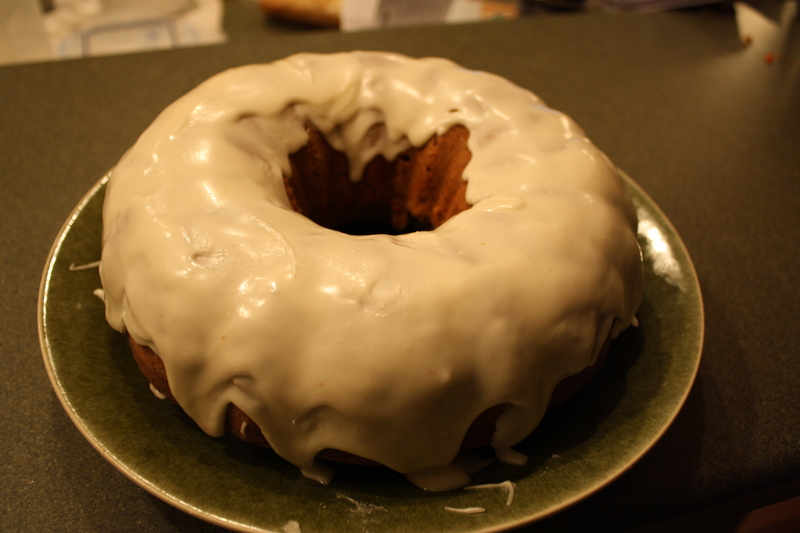 He also found a recipe for Gateau Sainte-Anne, a traditional cake from the Alsace region, in Cooking with the Saints. We simplified it a little bit. Preheat oven to 350. With an electric beater blend eggs and sugar until frothy. Add rum and flour mixed with baking powder. Blend in rest of ingredients. Grease and flour your cake pan and fill with the mixture. Bake for 50 minutes or until done. Mix the ingredients for the icing. Add more powdered sugar or more rum until the consistency is right. 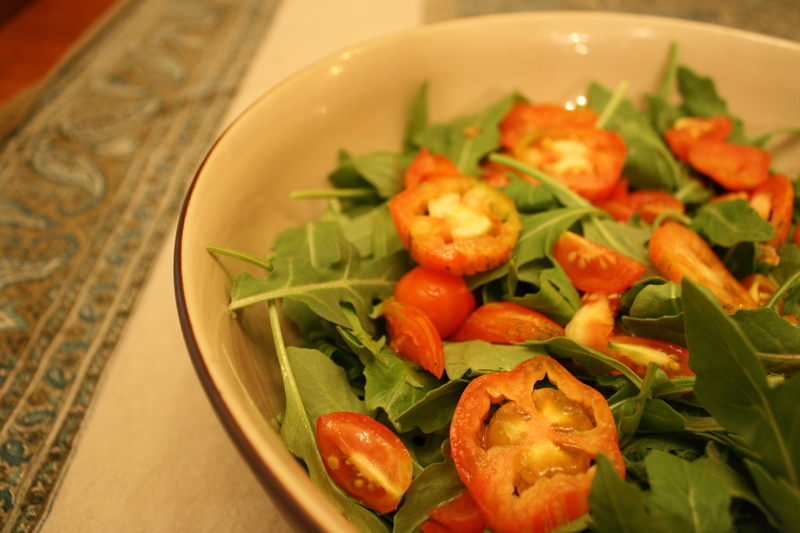 Girls named after St. Anne traditionally wore red and green ribbons in their hair on her feast day and we had some beautiful tomatoes in our garden so we made an arugula and tomato salad with goat cheese from Sweet Grass Dairy. Next time you’re in Thomasville, go by their wonderful store located in historic downtown. Or pick up their products for New Leaf or Tomato Land. 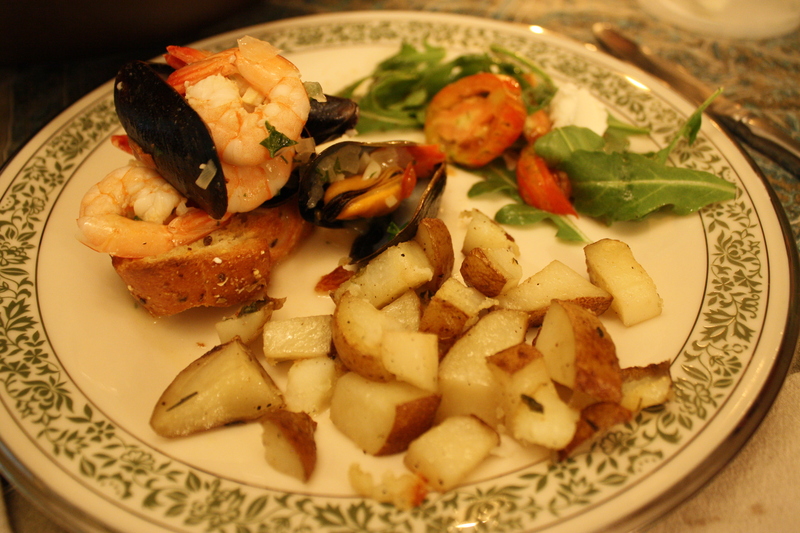 We served the shellfish dish over sliced baguette with roasted potatoes. Yum. 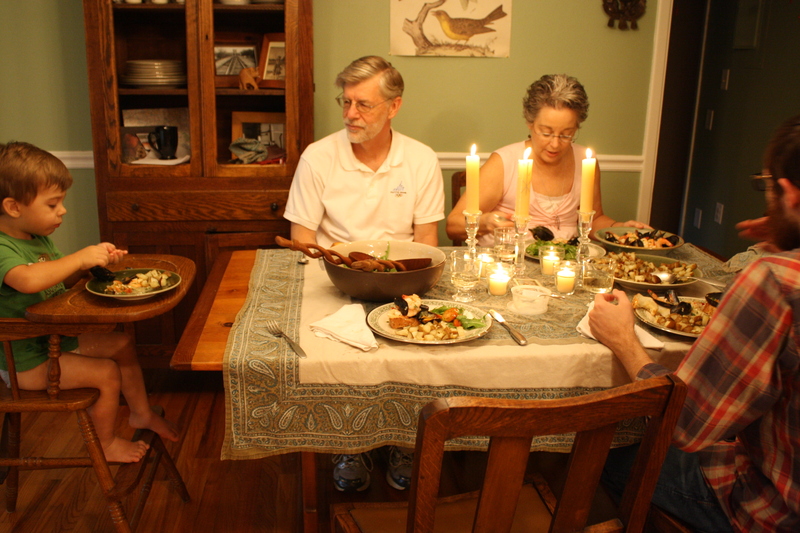 And you might want to invite some grandparents since St. Anne and St. Joachim are the patron saints of grandparents.